Is a Nocturnist Job Right for You? What is a nocturnist, as it relates to the healthcare industry? Technically, a nocturnist is any health professional who works nights regularly. However, the most common use of the "nocturnist" title is referring to a hospital-based physician who solely works a nighttime schedule. As healthcare grew more specialized and compartmentalized over recent years, particularly within the past 10 to 20 years, the hospital-based practice model took hold, grew in popularity and prevalence throughout the early 2000s, and continues to grow in demand through today. Hospitalists are physicians who provide around-the-clock, comprehensive care to hospital patients, without maintaining any clinic schedule or outpatient responsibilities at all. Most hospitalists were trained in family medicine or internal medicine residencies, and some may obtain additional training in hospital medicine via an additional year of fellowship training in hospital medicine, or a certificate of added qualification (CAQ). More hospitals began to seek internists and family medicine physicians to fill hospitalist roles, cutting into the workforce of primary care physicians, and essentially breaking it into smaller segments consisting of those who want to practice hospital-based care, and those who want to only see patients in an office. The traditional model of primary care, entailing a mix of outpatient and inpatient care, has become relatively rare in today's healthcare market. Many family medicine physicians and internists were attracted to the hospitalist model, including its block schedule rotation, which allows one week off every other week, as well as the substantially higher compensation rate, as compared to traditional primary care practice. In today's healthcare market, most, if not all hospitals either employ a staff of hospitalists or contract a team of them. 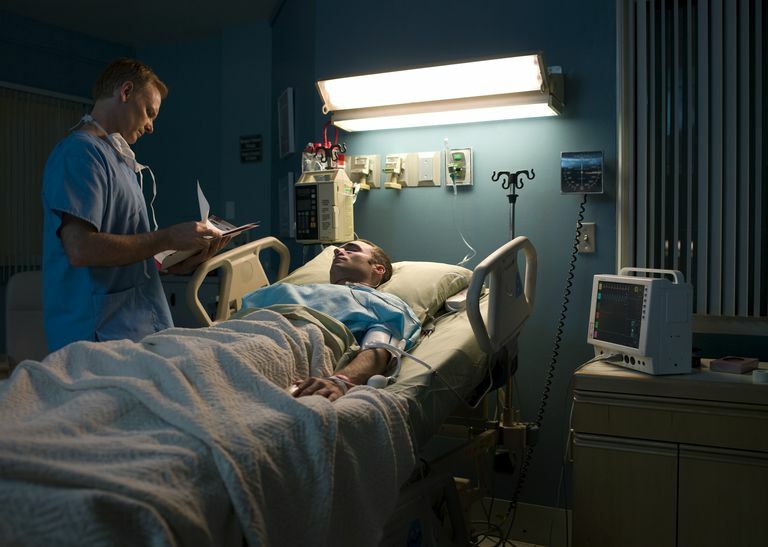 The hospitalist boom subsequently created a need for physicians willing to work through the night time hours as a hospitalist, as there were now no physicians on call. These overnight hospitalists are called nocturnists. While "regular" (daytime) hospitalists typically work a 7:00am to 7:00pm schedule, nocturnists take the 7:00pm to 7:00am shift. Hours and shifts may vary by facility, but the most common is a 12-hour shift ending and starting at 7:00. If working through the night doesn't seem appealing or feasible to you, keep in mind that hospitalists typically work a block schedule, meaning they work seven to 14 twelve-hour shifts consecutively, and then have 7-14 days off completely. (Some blocks may be five days on, five days off.) Therefore, as a hospitalist, your family and personal time will be minimal during the block of time when you're on duty, regardless of whether you work days or nights. On the flip side, you then have 7-14 consecutive days off, during which time you can live according to the schedule that works best for you. Jorge Sallaberry, MD, SFHM, has worked as a hospitalist since completing training in 2003. He worked "regular" day hours, until about three years ago, when he became a nocturnist. Dr. Sallaberry is currently employed by Centura Health Physician Group (CPHG) in Castle Rock, CO.
"I wisely chose which kind of hospital where I knew I'd want to work as a nocturnist," Dr. Sallaberry explains. "I moved to Castle Rock from Reno where I had done night shifts. There, I was up all night, admitting up to 18 patients per night, in addition to providing floor coverage. I had no interest in doing that [full-time], so, when searching for a full-time nocturnist role, I chose small community hospitals where the evening work load would be substantially lighter." Compared to working days, "the workload is decreased tremendously (I work in a small community hospital in the outskirts of Denver), thus improving quality of life (I usually get 2-4 hrs of sleep every night). I have the days to play, and time for a 2- to 3-hour power nap prior to going back into work," he states. Night shifts can also provide an increased level of independence, autonomy, and flexibility, including the ability to mostly avoid any in-house politics or dealing with hospital administration regularly. "My schedule is rather open. I get first dibs in scheduling, as the daytime docs will fill in their nights around my nights. The hospital also enticed the nocturnist position by paying the same salary as my daytime partners for working four [fewer] shifts each month." Despite the many perks of working as a nocturnist, and the positive impact it's had on his life, Dr. Sallaberry acknowledges that the nocturnist job is not for everyone. He adds: "It caters to a select few physicians who like to work independently and have a certain comfort level in their clinical acumen." Nocturnists must be willing to sacrifice many nights for work, and it may be difficult to switch shifts with other physicians when needed, depending on the size of the hospitalist team, and the number of nocturnists sharing the night schedule. In Dr. Sallaberry's case, he is the only dedicated nocturnist at his facility. Additionally, Dr. Sallaberry explains that when you work nights, you have limited access to resources to work with and to address medical emergencies. However, the evening workload is substantially lower than in the daytime. "My job as a nocturnist is to 'put out fires' on admitted patients, and admit new patients. I do not do family meetings unless a patient is critically ill and under my direct care," says Dr. Sallaberry. Due to the lower supply of physicians available and interested in working nights, nocturnists typically earn more money than hospitalists who work the day shifts. Or, as in Dr. Sallaberry's case, the nocturnists may work fewer shifts monthly, for the same amount of money as their daytime counterparts. Several recruiters at The Medicus Firm, a national physician search firm, currently represent a number of hospitals' searches for nocturnists in various locations throughout the country. They estimate that the pay for nocturnists is approximately $20,000 to $40,000 higher annually, as compared to compensation for regular hospitalists who work the day shift. However, that can vary also. Kiersten Feldman, a physician recruiting consultant out of the firm's Atlanta office, reports that one of her clients in the southeastern region of the country offers $100,000 more in annual pay for nocturnists. She adds that, for physicians who can manage the unique schedule, lucrative nocturnist opportunities such as hers offer a great way for doctors to pay off debt, save up some money, or meet other financial goals with the extra income. Chris Miller, a principal physician recruiter for The Medicus Firm in Dallas, has successfully placed several nocturnists in hospitalist jobs. He agrees that, while the nocturnist role is lucrative, it is not necessarily the right role for everyone. He notes that some physicians with families find the night schedule challenging, as well as the work itself. "Nocturnists don't have as much back-up as daytime hospitalists typically do, so therefore, nocturnists may have to do a higher volume of procedures or intubations than a hospitalist would on a typical day shift." He adds that nocturnists may have fewer patients over all per shift, but will have more admits, (i.e. patients to admit into the hospital) and therefore more paperwork, than a hospitalist would have on a typical day shift. If you are a hospitalist considering a job as a nocturnist, there are many factors to consider, as there are with any major career transition. Only you and your family can determine what schedule and job would be most beneficial to your personal and professional needs and goals. There is no single job in any field that meets all needs for everyone, and therefore each professional and his or her family should first carefully weigh the pros and cons of any potential career change, and consider how it may impact everyone's lives before making your decision. Should You Interview for a Medical Job During the Holidays?